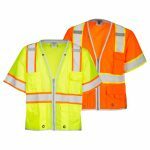 Construction Apparel | Garden State Highway Products, Inc.
Safety apparel that ensures maximum visibility when it matters most. 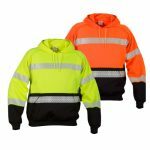 With our high visibility safety apparel from ML Kishigo, others can see you while working in poor weather and low light conditions. Whether you’re looking for construction safety apparel, equipment or safety gear for other jobs, we have a wide selection. 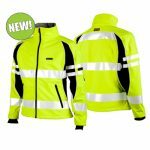 Select from a wide variety of jackets, high visibility t-shirts, sweatshirts, eyewear, gloves, rain gear, vests and more! Even when you’re covered from head to toe in dust and dirt your clothes can still do the talking. So go ahead, we’re giving you permission to be the best-dressed guy or gal on site. Check out our premium black series where raising the bar, meets style. Custom imprinting available on most styles. 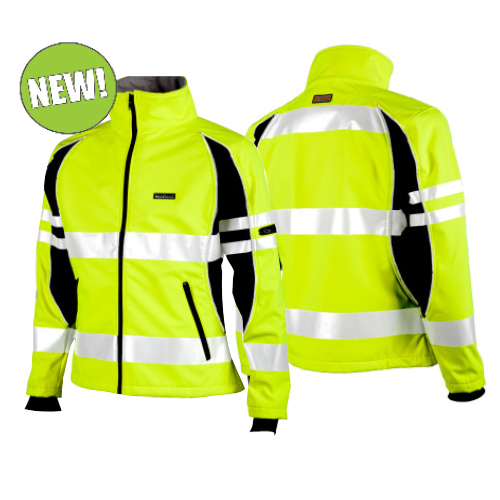 What garments meet the specified High Visibility requirements? Only garments certified and labeled as ANSI/ISEA 107 and ANSI/ISEA 207, or in some cases certain firefighter standards, meet standard specifications for high visibility personal protective safety apparel in the U.S. On or near roadways, performance Class 2 or 3 ANSI/ISEA 107 garments are required for compliance with the worker high visibility regulation in the Federal Highway Administration (FHWA) Manual on Uniform Traffic Control Devices (MUTCD) Section 6D.03. The FHWA recognizes ANSI/ISEA 107 and 207 revisions starting in 2004 and going through the current ANSI/ISEA 107-2015 revision. 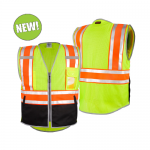 To find out more on high-visibility warning garments by construction workers, visit OSHA requirements at https://www.osha.gov. According to the U.S. Bureau of Labor Statistics (BLS), “The most common event associated with fatal occupational injuries incurred at a road construction site was worker struck by vehicle, mobile equipment. Of the 639 total fatal occupational injuries at road construction sites during the 2003–07 period, 305 were due to a worker being struck by a vehicle or mobile equipment.” The BLS article further reports that more workers are struck and killed by construction equipment (38 percent) than by cars, vans and tractor-trailers (33 percent). As such, work zone “runovers” and “backovers” are clearly the greatest hazard to roadway construction workers and, by far, the leading cause of death. The use of high visibility clothing is one important strategy in reducing the number of “struck-by” deaths on road construction sites.